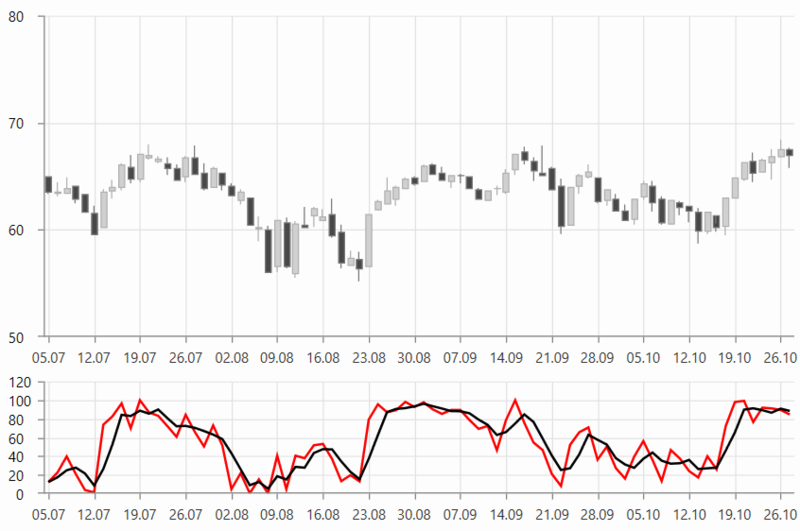 StochasticFastIndicator shows the location of the close relative to the high/low range over a number of periods. To set up the indicator you can set its CategoryBinding, HighBinding, LowBinding, CloseBinding, and ItemsSource properties. Additionally, you can control the period (in days) over which the indicator will be applied. To do this set the SignalPeriod and MainPeriod properties.